Product prices and availability are accurate as of 2019-04-20 08:29:58 EDT and are subject to change. Any price and availability information displayed on http://www.amazon.com/ at the time of purchase will apply to the purchase of this product. When your skin is overheated or dry, using a cool, lightweight, quick-penetrating lotion that soothes the skin is vital to enhance comfort. Jack Black Cool Moisture Body Lotion has been engineered to help nourish body skin as it soothes, cools, and hydrates. This lightweight, quick-penetrating lotion is composed of special ingredients that calm and refresh overheated skin, which makes it a perfect product for application after showers, playing sports, or working out. The formula in Jack Back Cool Moisture Body Lotion contains high-quality oils and vitamins that produce a mild, natural scent, leaving skin smelling subtly clean and fresh. The ingredients packed into Jack Black Cool Moisture Body Lotion work together to soothe skin with deep and fast-penetrating action. Macadamia Nut Oil is a high-quality oil that helps to penetrate and work below the skin’s surface to soften and hydrate skin. Vitamin E is an antioxidant superstar that acts to protect cells against free-radical damage. Jojoba Oil softens, moisturizes, and protects the skin by providing a lubricating, protective cushion. Soy Protein is rich in linoleic acid and helps moisturize and smooth skin’s texture. A gentle derivative of menthol (Menthyl Lactate) provides a refreshing, cooling sensation to skin, while Glycerin helps replenish and maintain the skin’s moisture balance. 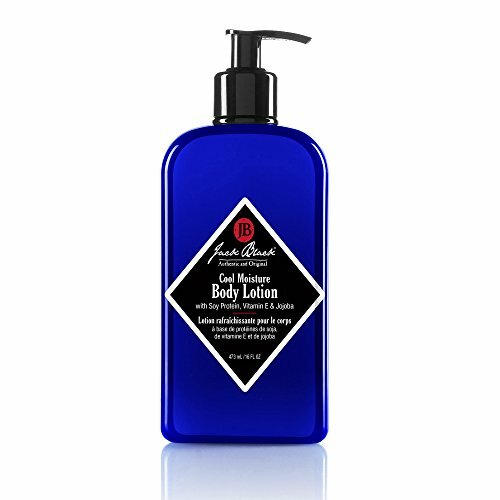 Jack Black Cool Moisture Body Lotion works fast to provide relief and enhance comfort. Every Jack Black product is dermatologist tested, paraben free, cruelty free, and free of harsh surfactants. Almost all of the products in our line are vegan, free of artificial colorants, safe for sensitive skin, and made in the USA. 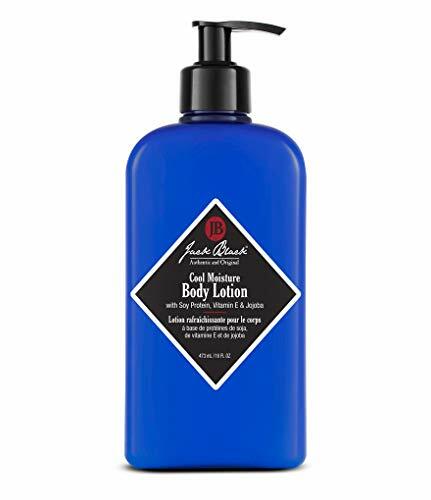 If you have been searching for a fast-acting, quick-penetrating lotion that will cool, soothe, and hydrate your skin, add Jack Black Moisture Body Lotion to your daily regimen.